All our VIP Tickets have now sold out! There are still our Standard, Premium and Premium Plus tiers available and there will be more opportunities to get hold of exclusive goodies on the day. Just to tease you all on what the VIP Ticket holders will be getting, here is what the JRDF Freelancer Max model looks like. Tim is the Studio Manager at CIG’s Wilmslow office and will be joining us in April! 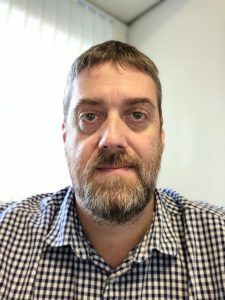 We are delighted to announce that Brian Chambers (Development Director – Foundry 42, Frankfurt), will once again be joining us for BritizenCon! Brian has been at every BritizenCon since we started in 2016. 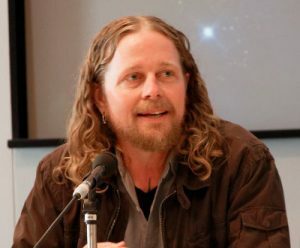 Star Citizen Chris Harrow will be joining us with his Xi’an workshop. We have our first to exhibitors to announce! SpecialEffect and JR Design & Fabrication Ltd will be joining us once again for BritizenCon 2019. You will be able to find both their stands in the Competition Hall. Please note: All guests appear subject to work and life commitments and so panel line-ups may change at short notice. 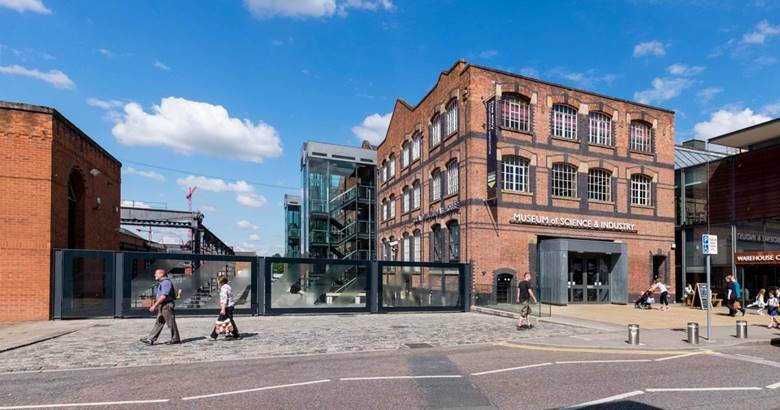 The Museum of Science and Industry is ideally located in terms of accessibility in Manchester, along with being near a large variety of hotels, hostels and other places to stay. The Museum itself is free to enter by all our guests prior to and during the event. 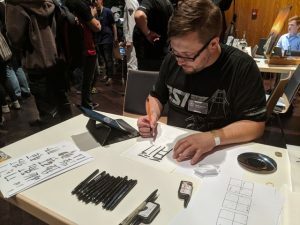 Want to become an exhibitor at BritizenCon 2019? We have a number of exhibitors tables available in our exhibitors hall. For rates and enquiries, please use our contact form. We are pleased to announce that SpecialEffect will be returning for BritizenCon 2019. SpecialEffect are the gamers charity who put the fun and inclusion back into the lives of people with physical disabilities by helping them to play video games. SpecialEffect will be available in the exhibitor hall for you to find out more about the valuable work they do in bringing gaming to people to whom it was previously inaccessible. SpecialEffect is the Oxfordshire based charity that uses technology to enhance the quality of life of severely disabled people, including stroke, traumatic injury, life-limiting conditions and injured soldiers. Their mission is to empower anyone – whatever their disability – to participate, aiding rehabilitation, self-esteem and vital inclusion. JR Design & Fabrication Ltd.
JR Design & Fabrication Ltd will be returning for BritizenCon 2019 as exhibitors and will be available in our exhibitor hall. JRDF were first seen at BritizenCon 2017 and are now well known among the Star Citizen community for their work on show at CitizenCon over the last two years. JR Design & Fabrication Ltd are also responsible for the 3D printed Freelancer Max model available exclusively with our VIP ticket tier. These will be available for collection, by those who bought this tier, from their stand at the event. 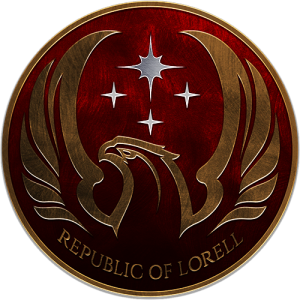 The Republic of Lorell is a Role Playing Organisation within Star Citizen. It features a complex lore, opportunities for text-based RP and a community spirit devoted to helping its members to realise their full potential. Lorell has members from all over the world and from a variety of different backgrounds. The organisation will have a table in the Bar Room where they will have some trinkets and original artwork for sale. Below is the final schedule for the event, however there may be a little flex in the times on the day. 11:30 - Competition Hall - Competition heats start. 13:00 - Main Hall - Welcome address. 13:15 - Main Hall - Dev Panel 1: Challenges and Hurdles. 14:30 - Main Hall - JR Design & Fabrication Panel. 15:45 - Main Hall - Dev Panel 2: Design and Inspiration. 17:00 - Main Hall - SpecialEffect Panel. 18:00 - Competition Hall and Main Hall - Competition Finals followed by Prize Giving. 18:30 - Main Hall - Raffle. 18:45 - Main Hall - Closing Address. 19:00 - Close + Pub. With the exception of when the Dev panels are on, we plan to run the competitions and panels concurrently in two separate areas. This will allow attendees to watch whichever interests them more. There is no cosplay competition this year but the wearing of cosplay is encouraged if you wish to do so. BritizenCon is an Armistice Zone. Attendees must not bring any weapons or anything that looks like a weapon to the event. If you have a fan film (up to 10 mins) that you wish to be shown at BritizenCon, please put them on YouTube and send us a link through our Contact Form. Ensure that the video is either public or unlisted. All videos will be vetted before being shown. Tickets will be on sale until 6:00pm on Fri, 26th April 2019. Tickets will be sold on the door at an increased price of £35. Each attendee must have their own ticket. Attendees must be over-18 and bring ID to the event. Full name and email address are required. Tickets will be emailed to the email address provided. A shipping address is required for all Premium, Premium Plus and VIP tiers. Anyone not providing a valid shipping address will not receive their T-shirts and those funds will be treated as donations. The Freelancer Max models for VIP tiers are to be collected in person at the event. BritizenCon is an Armistice Zone. Attendees must not bring any weapons or anything that looks like a weapon to the event. The organisers reserve the right to remove from the venue anyone not displaying acceptable standards of behaviour. The event will be photographed, filmed and streamed. By buying a ticket, attendees agree to being photographed and filmed and accept that they may appear on stream or in any photographs or videos of the event. 3D printed BritizenCon 2019 challenge coin. Event access with priority seating. Many people have told us that they are unable to come to BritizenCon but would still love to support the event. We are very grateful for all donations, which can be given using the button above. All funds will go directly towards funding the event and any excess will help to make next years event even better. Please keep talking about BritizenCon, on social media and in your Orgs. If you came to any of the previous events, tell everyone how much you enjoyed the event. The more people we get this year, the better position we will be in to continue into future years. BritizenCon is the unofficial annual UK Star Citizen fan convention. It is unofficial in that Cloud Imperium Games have no involvement in the organising of the event however they do encourage their staff to attend (and many do). In early 2015, there was talk within the UK fan-base of organising a large, national meet up of Star Citizen fans. It would be a gathering in a pub somewhere in Manchester where we could just socialise for a day and talk Star Citizen. That meet up never materialised as planning was overtaken by CitizenCon occurring in Manchester that year. The energy felt at that CitizenCon solidified the feeling that there needed to be an annual UK event. And so BritizenCon was born. Our first event took place in July 2016. It was a great success and planning started immediately for our second event in April 2017. BritizenCon 2019 will be our fourth event. © 2017 – 2019 BritizenCon. All Rights Reserved.